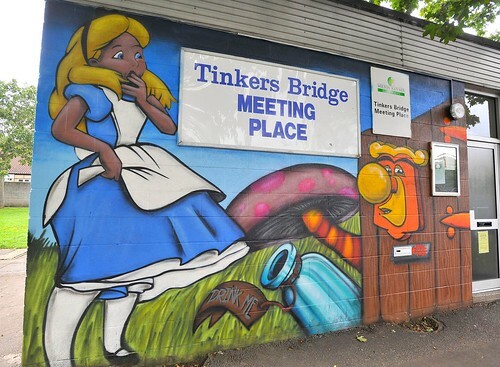 Organised by Josan Race from MKCVO the painting of the meeting place in Tinkers Bridge was planned back in March 2010. Arkade Graphics ran workshops from the centre leading up to the painting dates in late August to stir up interest from the locals. 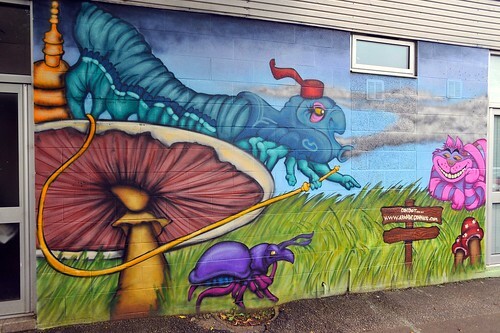 During the workshop sessions young people decided to use the theme of ‘Alice in Wonderland’ to decorate the building. 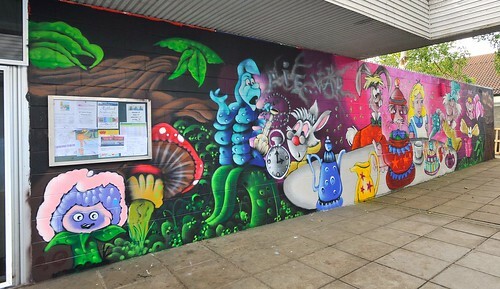 The young people worked alongside various artists around different sides of the building until the job was complete. 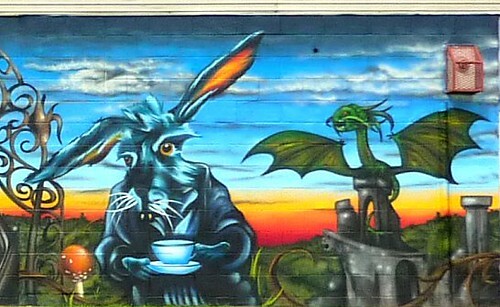 It took the artists 6 days in all to complete the mural resting between rain showers and cups of tea (readily supplied by the community folks who use the centre). 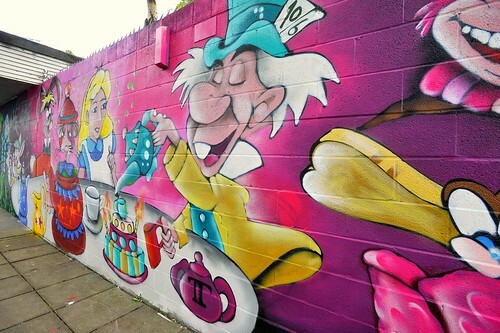 This entry was posted in Commissions and tagged alice in wonder land graffiti, Alice in wonderland, alice in wonderland mural, arkade graphics, graffiti UK, Josan Race, MiltonKeynes Graffiti, Tinkers Bridge Graffiti, Tinkers bridge meeting place. Bookmark the permalink. Yes Connor i’d like to come into art lessons and do some stuff with you and your class. 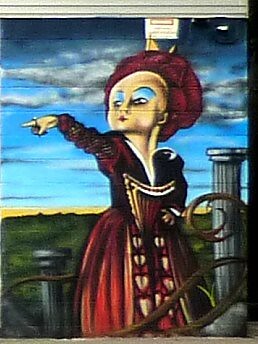 give your art teacher my website details . . . .